From the Publisher: Bear never asks for anything. So when a letter arrives for the little chipmunk Izzy, urgently requesting her presence, she can’t refuse—even if there is a blizzard on the way! When Izzy the chipmunk receives an urgent letter, she sets out for Bear’s house—even though she knows a blizzard is coming. She quickly finds her way impeded by the growing blizzard conditions, but she is determined to reach Bear’s! Along the way, she is met by other friends, who, without hesitation, go out of their way to help Izzy on her snowy journey, each persevering to ensure they all reach Bear’s together. Got to Get to Bear’s! is a charming winter tale of true friendship and determination, wrapped up in an easy-to-read story with exciting illustrations– a perfect book for a chilly evening! From the Publisher: This heartwarming picture book story delivers a timeless and timely message about the importance of kindness and generosity. With simple and evocative language, it explores how even small gestures can make a big difference to the strangers or outsiders in a community. A winter storm is coming and the forest animals are preparing! Food is stored, fires are burning brightly, and everyone is warm and safe. But when two strangers appear in the storm, the other animals are wary. Who are these strangers? What are they doing here? What do they want? As the storm worsens, the strangers request shelter, but the other animals are unwilling to share their homes. When his family turns them away, Little Fox feels sorry for the strangers, but has only a lantern to give them. When an accident befalls the Fox family, they must ask the outsiders for help and Little Fox finds his kindness repaid tenfold. Shelter is a short, poignant story about kindness and generosity, delivered in stunning watercolour illustration. 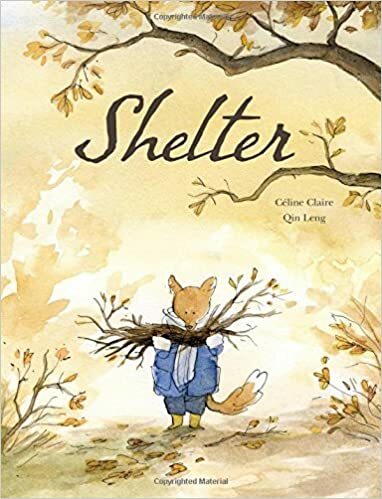 A lesson on empathy and compassion, Shelter offers an excellent opportunity to discuss welcoming and helping those in need. 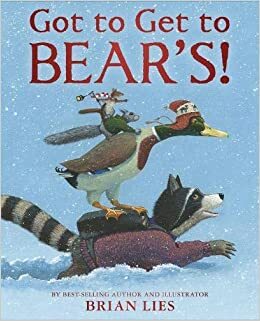 From the Publisher: A hip and oh-so-funny take on a traditional Native American fable about the importance of patience, the seasons, and listening to your friends. Rabbit calls the snow each year using a special song. Every time he chants and plays his drum, it snows! But Rabbit is also impatient: he wants what he wants EXACTLY when he wants it. And Rabbit wants snow NOW, even though it’s not the right season for snow. Despite the warnings of other animals, Rabbit runs to get his drum. He plays and chants and dances his dance– and the snow just keeps falling. Even when all the other animals have run for shelter, Rabbit continues his snow dance until he finally falls asleep. When he wakes, Rabbit is in for a real surprise! Rabbit’s Snow Dance is a fun and engaging tale about the perils of impatience, complete with beautifully vivid illustrations. 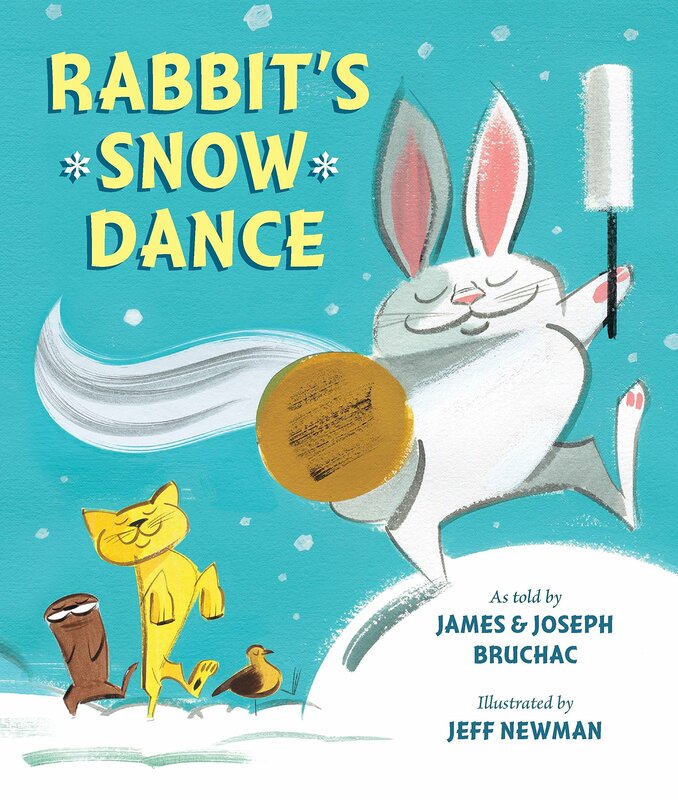 A wonderful story for discussing patience and self-restraint and listening to the wisdom of others, Rabbit’s Snow Dance makes a delightful read! You can find these and many more winter-themed books on the Seasonal Cart in the Children’s Department!